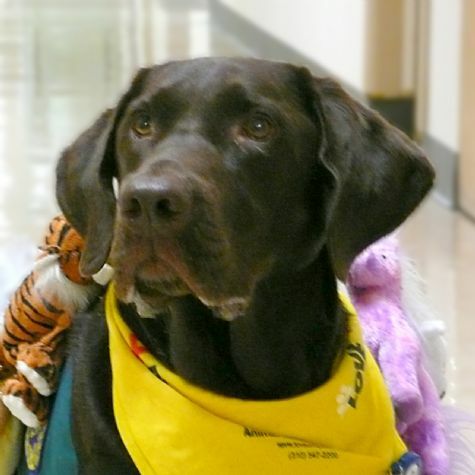 I was chosen from 16 other chocolate Labrador puppies to be trained to work with children at CHLA. I am always wagging my tail, and I happily look forward to every child playing with me. I love children, and even though I am a big dog, I am very, very gentle and sweet. You'll recognize me because my uniform is covered with "beanie babies". I have a big goofy smile when I'm visiting at CHLA.